It's not a matter of "Do you like to sing?" It's "Where do you like to sing?" Everybody sings. Maybe in church. In the car. In the shower. But when you get a tune in your head, there's no avoiding it. 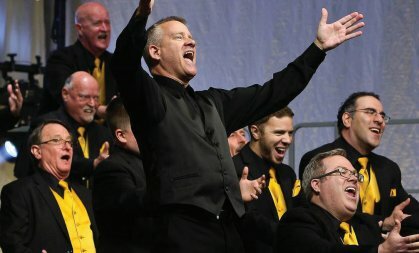 We're blessed with a new and most excellent director in Ken Potter and if you – or a special man in your life – have any interest in song, give us a try! There's no obligation. Just beautiful music. And you won't meet a better (and more forgiving) group of guys this side of Lake Washington! Email us for information. And maybe we'll see YOU on the risers!